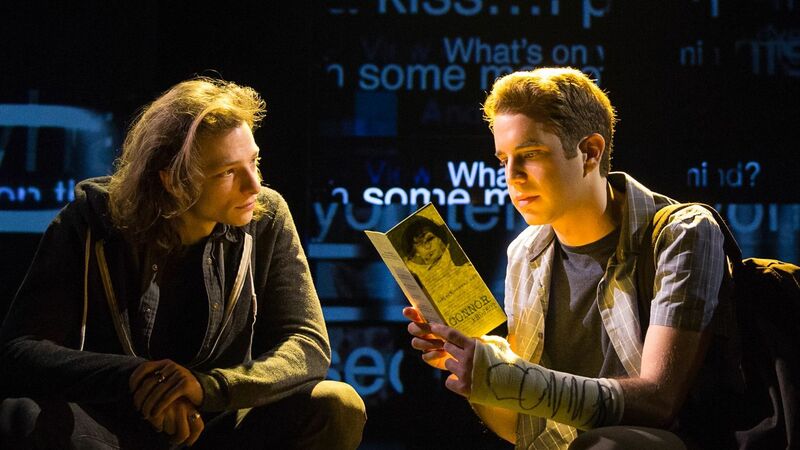 Grab some tissues: Dear Evan Hansen is getting the big-screen treatment. Though, reports of a film based on the Tony-winning musical shouldn’t come as too much of a surprise. After all, the show has experienced a hugely successful run on Broadway, spawning a national tour, a soundtrack that debuted at No. 8 on the Billboard Hot 100, a young adult novel, and the kind of fandom that’s usually reserved for CW dramas (and Hamilton). Variety reports that Oscar- and Tony-winning duo Benj Pasek and Justin Paul, who wrote the music and lyrics for the Broadway smash, penned a deal with Universal Pictures, and playwright Steven Levenson, who took home the Tony for writing the musical’s book, is working on the script. Meanwhile, The Perks of Being a Wallflower‘s Stephen Chbosky — no stranger to complex stories about teens and mental illness — will direct. And, yes, Ben Platt is reportedly in talks to reprise his Tony-winning — seriously, Dear Evan Hansen took home so many Tonys — titular role. Now, if Platt is on board to once again don Evan’s striped polo and incredibly sweaty, terribly itchy arm cast, then does that mean that Dear Evan Hansen will be a movie musical? And will any of Connor’s backstory — explored in Dear Evan Hansen: The Novel — make it into the film? Most importantly: Will Evan learn how to break in a glove?! Dear Pasek and Paul, as you can see, I have a few questions. Please respond promptly. Sincerely, me. 1. Will we ever find out if Evan Hansen owns more than one polo shirt? This is the most important question. 2. If Platt reprises his role, does that mean Rachel Bay Jones will too? Because “So Big/So Small” just won’t be the same without this iconic duo. 4. What is Dear Evan Hansen without the music? 5. Will Pasek and Paul write original songs for the film? 8. Will there be a scene of Zoe scribbling stars on the inside of her jeans? 9. Which A-list actors will be cast as the Murphys? 10. Oh my god. Will Hugh Jackman play Mr. Murphy in Dear Evan Hansen: The Movie? 11. Does Hugh Jackman even know how to break in a glove? 13. Is this movie secretly a way for Pasek and Paul to stage a Greatest Showman reunion? 15. Dear Evan Hansen: The Novel, written by Val Emmich, deepens the story and gives Connor a proper backstory, but will any of that make it into the film? 16. SPOILER ALERT: Does this mean bisexual Connor Murphy will be film canon? 17. Will we finally get to see Evan grapple with the emotional fallout of his actions, and, you know, suffer any real-life consequences? We’ll have to wait and see!